Thomas F.X. Noble, professor and chair in the Department of History, has been selected to receive the 2011 Sheedy Excellence in Teaching Award. The Sheedy award was founded in 1970 in honor of Rev. Charles E. Sheedy, C.S.C., who served as dean from 1951–69. It is the highest teaching honor in Notre Dame’s College of Arts and Letters. Noble teaches both undergraduate and graduate courses and specializes in the history of late antiquity, the early Middle Ages, the city of Rome, and the papacy. DellaNeva says that faculty colleagues and students alike were quick to support Noble’s nomination. For example, she says, one student remarked that Noble has “left an indelible mark” on the University because of his passion, commitment, and “unwavering faith” in the potential of all his students. “I really like the students and enjoy being with them,” says Noble, adding that one of the most important things professors can do to connect with students is to care about them, as both students and people. Noble literally goes to where students live in order to make deeper connections with them, founding in 2005 the Residential Scholars Program, which brings faculty and first-year students together to share meals and conversation in an informal setting. 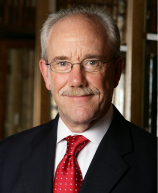 The former director of the University’s Medieval Institute, Noble is currently vice president of the American Catholic Historical Association and will become its president in 2012. Earlier this year, he was awarded a National Endowment for the Humanities fellowship, his third such honor. Noble’s books include Images, Iconoclasm, and the Carolingians (University of Pennsylvania Press), Charlemagne and Louis the Pious: Lives by Einhard, Notker, Ermoldus, Thegan, and the Astronomer (Penn State Press), and From Roman Provinces to Medieval Kingdoms (Taylor and Francis Group). His next book project, Rome in the Medieval Imagination, will explore how writers from Constantine to Petrarch talked about Rome. The Sheedy Award ceremony will take place on September 15, 2011, at 4 p.m. in McKenna Hall. Originally published by Joanna Basile at al.nd.edu on May 05, 2011.